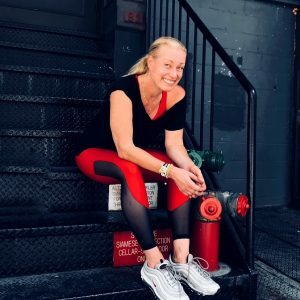 Hanne has taught yoga close to 20 years to a wide range of students at various levels including top athletes and seniors. 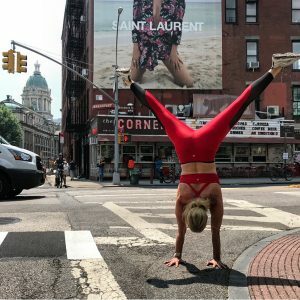 Later Hanne got into learning the art of handstands from professional circus performers and she is travelling and teaching handstand/corestrenght workshops as well. She also continues to study anatomy and dance/ballet in New York and Helsinki and she recently got certified as a pilates instructor. She was introduced to yoga while studying dance in New York in the late 90s. She traveled to Mysore,South India in 2001 to study Ashtanga yoga with Sri K Pattabhi Jois and continued to study there annually. She was granted the permission to teach in 2004 and received Ashtanga Level 2 authorization in Sharath’s first teacher training 2009. She is also a certified Sivananda yoga teacher. Hanne emphasizes the importance of feeling for balance and deepening the knowledge of the body's anatomical functioning and individuality as well as the importance of the mind/body connection while trying to nurture the presence of strenght and contentment and happiness. Sri K Pattabhi Jois, Sharath and Saraswati, Eddie Stern, Julie Gudmestad, Jarmo Ahonen, Jane Spackman, Finis Jhung and Yuval Ayalon to mention a few.